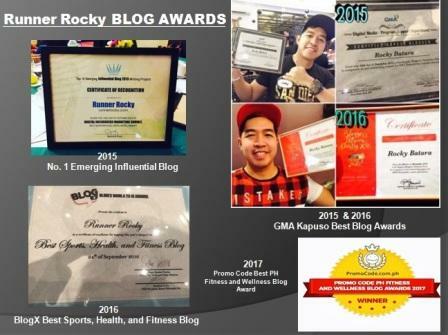 2016 was indeed a very successful year for yours truly Runner Rocky in terms of my running achievements. For more than two years of running, 2016 registered the most number of running events, marathons, and ultramarathons that I have joined with. 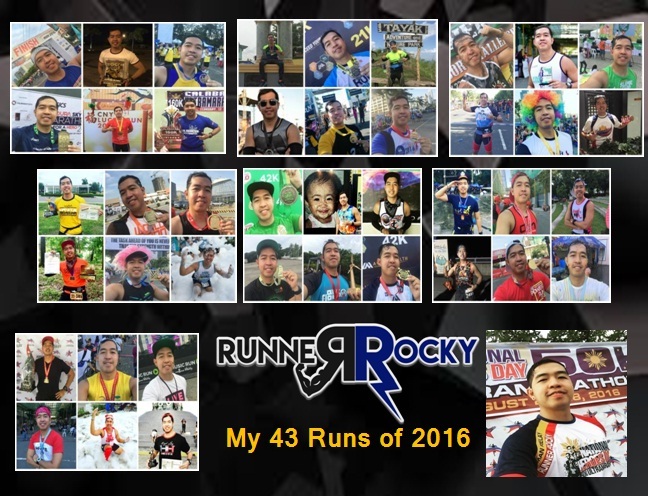 From 10 runs in 2014 to 37 runs in 2015, 2016 boomed to 43 runs! 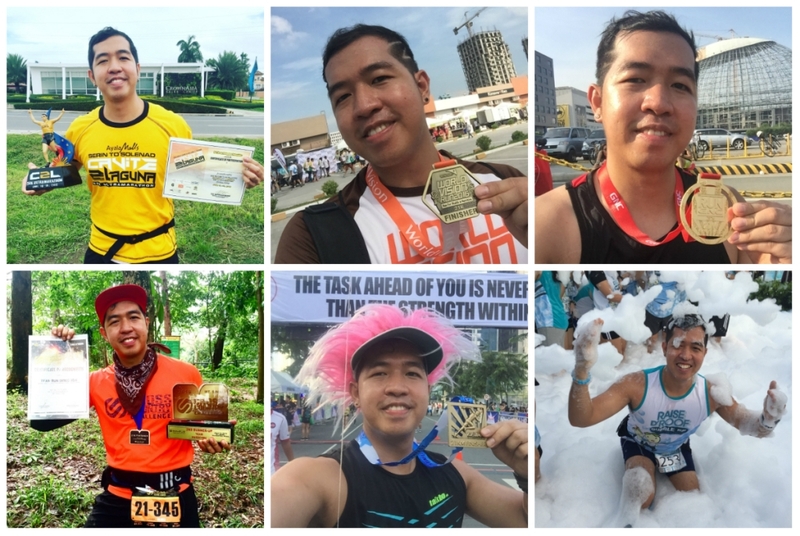 Though I already had my first 52K ultramarathon in August 2015 via the Ninoy Aquino Day 50K Ultramarathon without taking first a full marathon, 2016 then paved way for me to conquer a 42K full marathon. 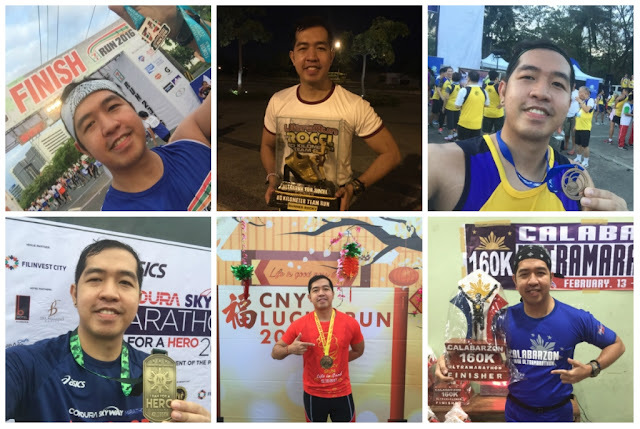 And that took place via the Condura Skyway Marathon 2016 which served as my very first full marathon. 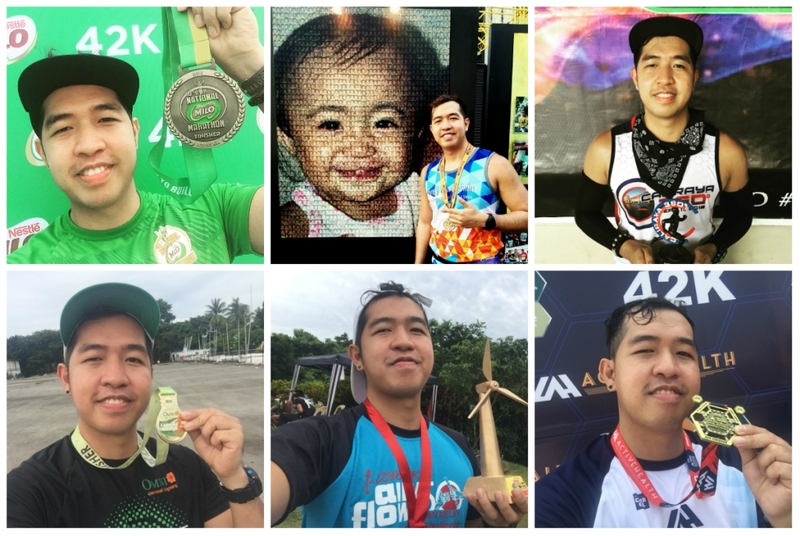 Then it was followed by NatGeo Earth Day Run 2016 (April), 40TH National Milo Marathon 2016 (July), and Run United Philippine Marathon 2016 (October). Milo was the most successful 42K full mary since I was able to beat the cutoff below 6 hrs. 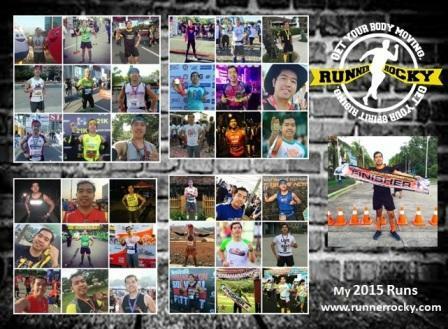 while RUPM was the record breaking 42K PR since I beat my record in Milo! In terms of ultramarathon, 2016 was also the year! 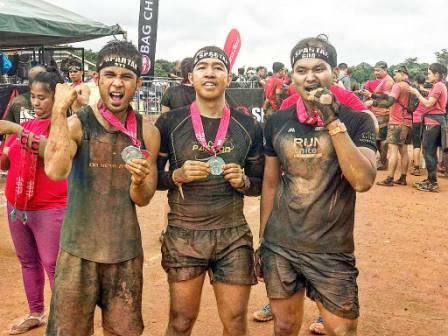 We were hailed as the champion in the 160K Calabarzon Ultramarathon All Male Category 4-Man Relay. 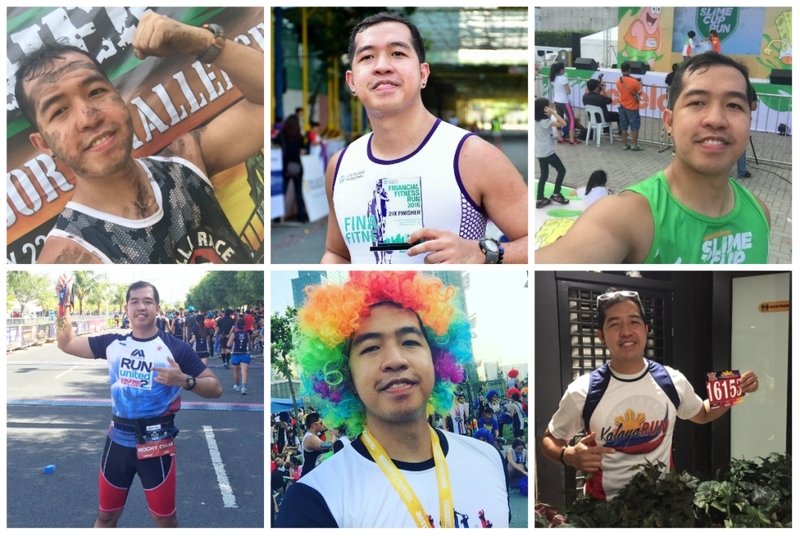 And yes, with my running buddy in a two-man relay, we had conquered 10 ultramarathons this year! 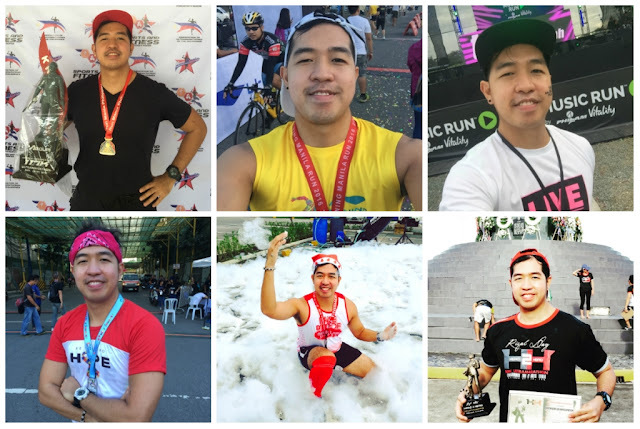 In terms of new running events, Runner Rocky was also the pioneer! 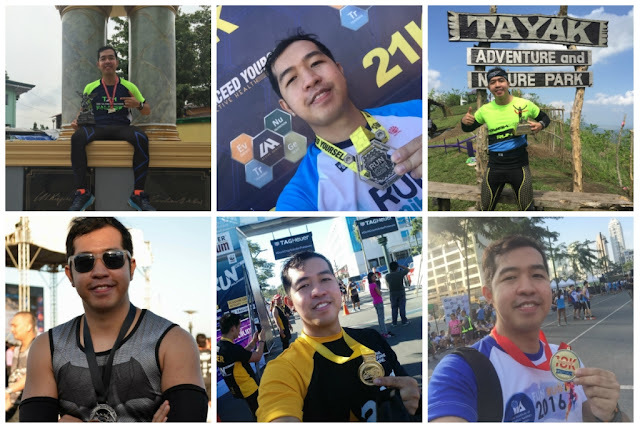 The first ever fun runs this year such as the Raise D' Roof Bubble Runs, Colors of Freedom Run, OYM Trilogy, Chinese New Year (CNY) Run, Omni Light of Change, The Nightmare Run, 1st Conquer AirFlow 50K Ultra Challenge, and The Running Addict, Runner Rocky took part! 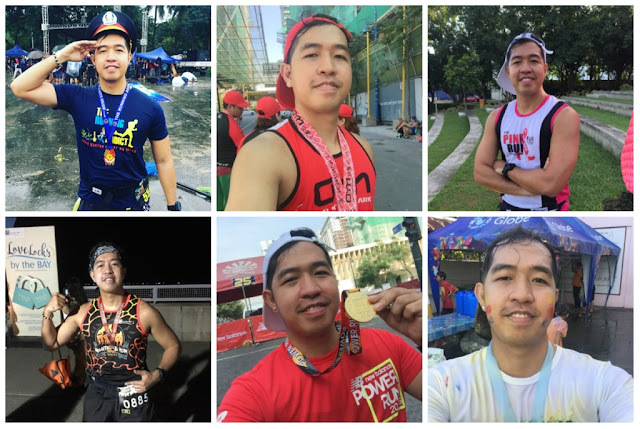 This was also the year wherein I became a pacer via the RunFest 2016. 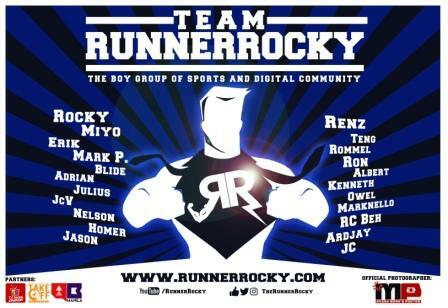 And yes, Runner Rocky was also the official media partner of the running event such as the ColoRUN For Mission, Guerilla Race Panther, and Hope Run.